Set of fast food icons in sketch style. 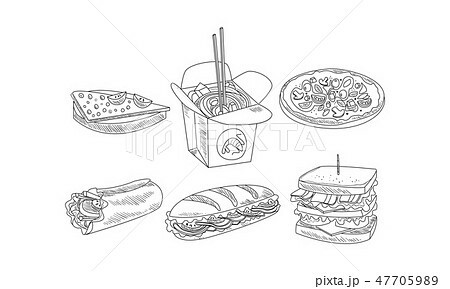 Tasty sandwiches, burrito, box of noodles and pizza. Nutrition theme. Elements for cafe menu. Hand drawn vector illustrations isolated on white background.